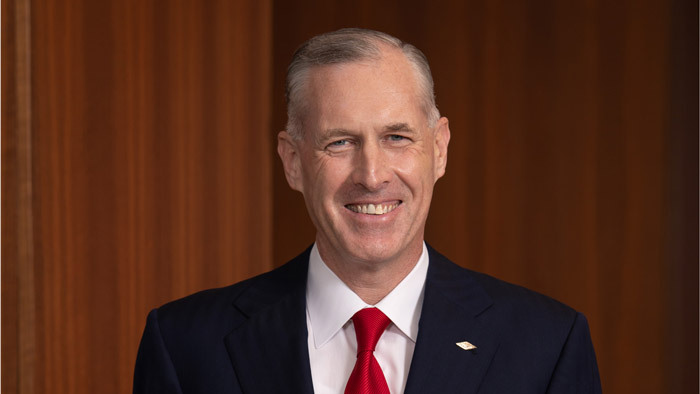 Jim Fitterling, chief executive officer of Dow Inc.
On 11 December 2015, Dow announced its merger with American conglomerate DuPont in an all-stock deal, creating the combined entity DowDuPont with an eye-watering estimated value of USD130 billion. Four years later, the two companies have de-merged. The company announced the spin-off of Dow Inc. into a separate publicly traded company on 1 April 2019. Separation plans were signposted at the time of the original merger, with DowDuPoint forewarning a split into three independent companies focusing on agriculture, chemical, and specialty product industries within two years of the merger closing. The spin-off means the Midland, Michigan, U.S.A., headquartered company will return to using the brand name Dow, named after chemist and founder Herbert Henry Dow in 1897, and will become the direct parent of The Dow Chemical Company. Prior to the merger, Dow Chemical Company was the second-largest chemical manufacturer in the world by revenue, behind only German company BASF. Dow employs approximately 37,000 people, with 113 manufacturing sites in 31 countries. The company believes the changes have streamlined Dow and prepared it for long-term earnings growth. “The changes we have made to Dow’s portfolio, cost structure and mindset are significant,” says Jim Fitterling, chief executive officer of Dow Inc. “Team Dow is well positioned to achieve our ambition of becoming the most innovative, customer­centric, inclusive and sustainable materials science company,” he says. Dow also declared a new brand tagline for the company “Seek Together” – which, they explain, emphasises the role of collaboration in unlocking innovation for customers and their value chain. The iconic Dow logo remains unchanged. Trading on the New York Stock Exchange (NYSE) began on 2 April 2019, with DOW also joining the Dow Jones Industrial Average (DJIA).